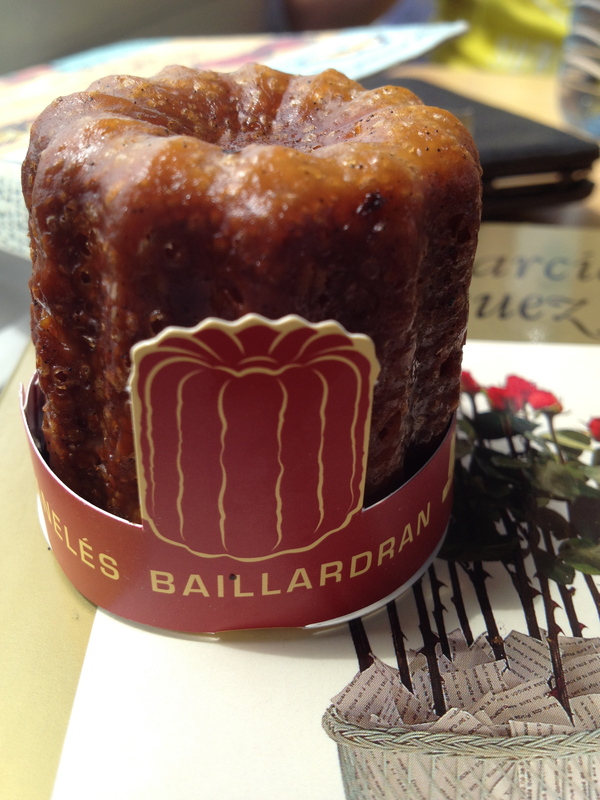 Cannelés or Canelés, dainty little caramelised puddings, are all the rage in France – and not just in Bordeaux! 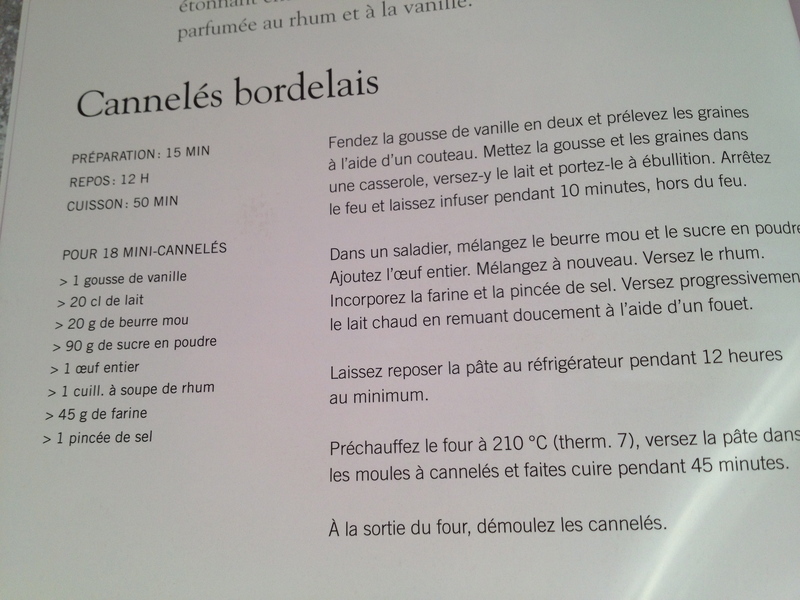 Having visited this town in the summer, I took the opportunity to research the recipe extensively, children in tow, through many a patisserie, and -on Camille’s- advice to purchase a set of the special mini pans they are baked in. If you have never tasted them, they make lovely ‘petits fours’ after a meal and are delicious with coffee or tea in the morning. They should have a nice toffee colour and burnt smell so they might benefit to slightly longer than the indicated time in the oven. Heat the milk to just below boiling point with the vanilla pod scraped in: Leave pod and seeds in it to suffuse. Let it cool down a little while. Cream the soft butter and sugar in a bowl. Add the beaten egg and whip up. Add the rum, mix in the flour and salt. Slowly add the warm milk. Mix all the ingredients until you get a pancake style batter. Let it rest in the fridge overnight. The next day, preheat the oven to 240 degrees. Give the mix a light whipping to awaken the batter! Remove the pod. Then pour your batter into small pans, generously buttered up, leaving a little room to rise. Bake at 240° for 10 min. on the bottom rack ; then lower to 210° for another 35 minutes.